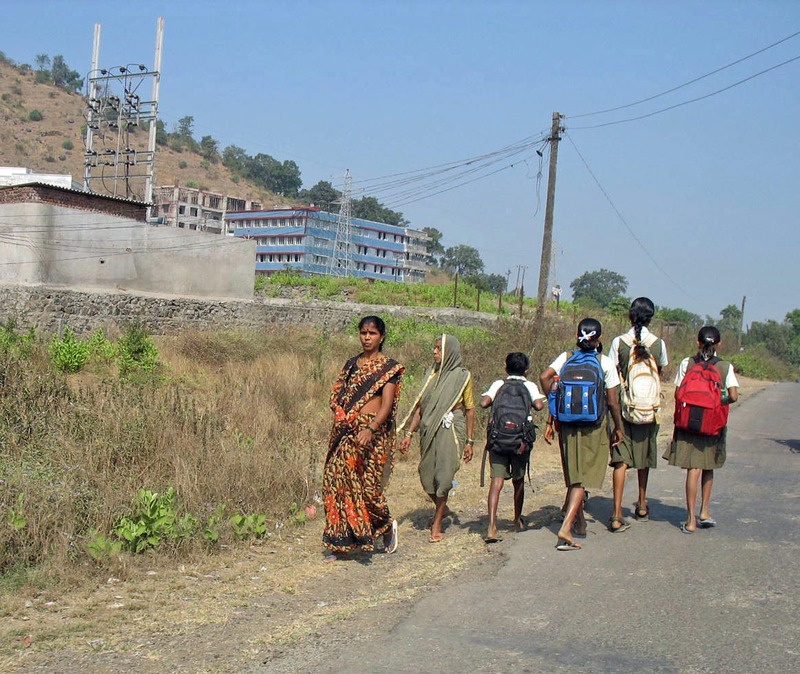 Here are a few photographs of children walking to school, or perhaps from school. Rural children in India walk or perhaps use cycles to reach school. Girls usually walk to school. 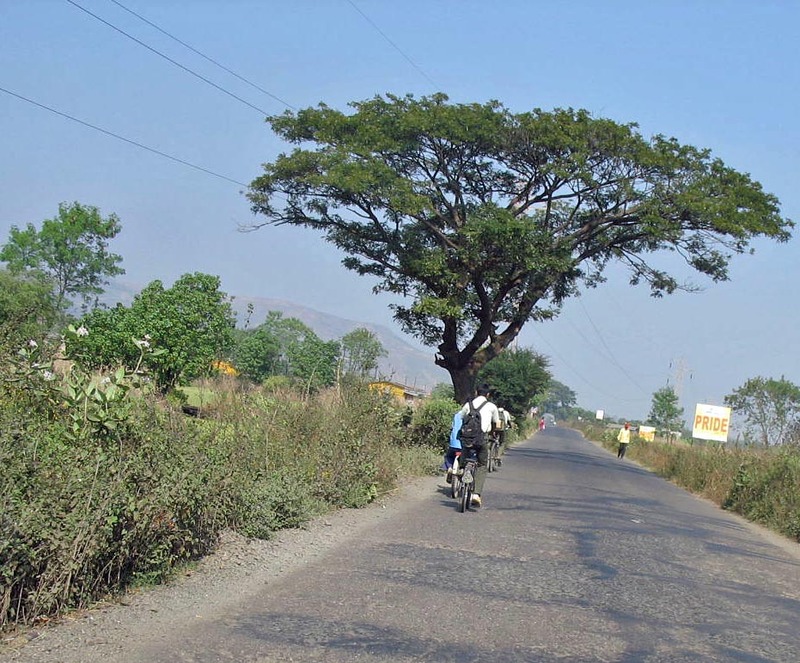 These photographs have been shot in sem-rural India, outside the city of Mumbai, Maharashtra, in India. In the first photo you can see the uniform of the children is green and white. Older girls usually wear the salwar kameez while younger girls were a dress. 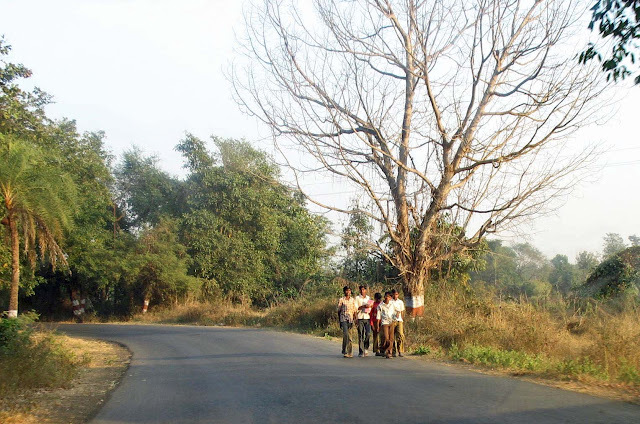 The photo below is taken in another area, near Diwekarwadi, south-east of Mumbai. One of these boys certainly has a book with him, but others do not. Notice that the children do not have any uniform footwear. 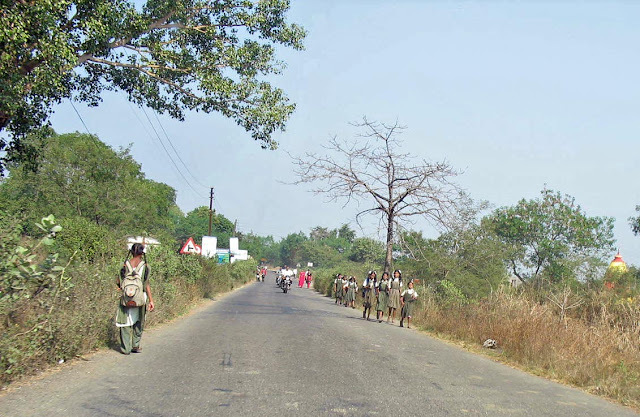 The rural schools apparently do not make any particular type of footwear compulsory, probably due to the limited means of the students. or Children playing Holi in semi-rural India or try the label "Rural India" if you looking for more country images.